Enter the no-TV-zone that lets you watch what you want when you want in just two clicks with iflix, country's biggest library of video on demand content to partner with the country’s biggest multimedia networks PLDT HOME and Smart. The Philippine launch of iflix comes at spot-on timing since it recently secured topline content deals with giant Hollywood studios The Walt Disney Company, Twentieth Century Fox Television Distribution (Fox), BBC Worldwide (BBC) and Warner Bros. International Television Distribution (Warner Bros.). This means that on top of existing over 11,000 hours of TV serial titles and updated catalogue of Hollywood, European and Asian releases, shows like “Sherlock”, “Doctor Who”, “Homeland” and “The Big Bang Theory” are now part of iflix’s growing library. For movies, iflix beefs up its Hollywood selection with action blockbusters like “Star Trek”, “Batman Begins” and “Green Lantern”, among thousands of other choices. 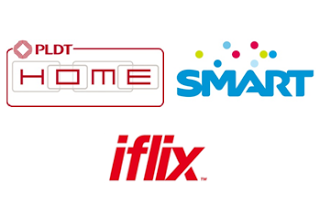 PLDT HOME and Smart welcome the addition of iflix as part of its ever-expanding entertainment ensemble. “This is literally entertainment everywhere. With all of these titles bannered under PLDT HOME and Smart’s power-packed lineup of reliable Internet services for families and individuals, your choice of entertainment device deserves its own star at the Hollywood Walk of Fame,” rationalized PLDT EVP and Consumer Business Group Head Ariel P. Fermin. 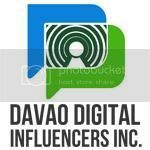 Three industry leaders teamed up to bring “Entertainment Everywhere” to millions of digitally connected Filipinos. PLDT HOME, Smart and iFLIX recently announced their partnership for content streaming of the Philippines’ largest library of movies and TV shows. In photo during the grand launch are (front row, from left): iflix Group COO and iflix Malaysia CEO Azran Osman-Rani, Glee star Heather Morris, PLDT Group Chairman Manny V. Pangilinan and PLDT EVP and Consumer Business Group Head Ariel P. Fermin; and (back row, from left): iflix Group Chief Content Officer James Bridges, iflix Philippines Country Manager Sherwin dela Cruz and iflix Group Chief Technology Officer Ash Crick. “You already have the device that has the capability to showcase your guilty viewing pleasures—whether it’s a smartphone, a tablet, laptop, desktop computers and even TV screens. All you need is that one movie, that particular episode or even an entire season that you’ve had on your must-watch list. From small escapes like whenever you’re stuck in traffic, to binge-watching rare moments when time is on your side, subscribers now have the access to the widest library of entertainment content with iflix. It gets so much better because you are able to gain access to these titles through PLDT HOME and Smart’s strongest and largest multimedia platforms wherever you are in the Philippines,” explained Fermin. Binibining Pilipinas beauties led by Miss Universe Philippines 2015 Pia Wurtzbach (second from right). From left: Red carpet host Bianca Valerio, socialite siblings Ruffa and Raymond Gutierrez, iflix Chairman Patrick Grove and singer and TV personality Karylle Yuzon. Grove added, “We are extremely proud to have come together with the largest telecommunications company in the Philippines and, indeed, one of the region’s leading companies, to offer iflix to PLDT’s enormous customer base. With well over 75 million Filipinos communicating and being entertained using PLDT services, they are the absolute perfect partner for iflix in the Philippines. Iflix also eliminates streaming setbacks because it’s available through PLDT and Smart. The service also liberates users from incompatible streaming due to regional conflicts. For entertainment everywhere, register an account via www.iflix.com and instantly enjoy a complimentary 14-day trial of the service. Once the trial expires, PLDT Home and Smart users will be able to subscribe to the P99 per month package through the iflix website. For PLDT HOME subscribers, iflix is available via TVolution Trio Plan 1599 inclusive of a TVolution kit, unlimited DSL and unlimited access to iflix. Existing users of PLDT Home DSL and PLDT Home Ultera can get iflix as an add-on option on top of their monthly fees for only P99 per month, while it comes free with PLDT HOME Fibr and PLDT HOME Telpad plans. On the other hand, Smart subscribers may now bring entertainment anywhere for P99 a month, charged to their prepaid loads or on top of their postpaid accounts. No credit card required! Apart from the Philippines, iflix will soon be available in other countries including the United States, Hong Kong, Seoul, Shanghai, Thailand and Tokyo. The iflix app is also downloadable via Google Play Store or the Apple App Store. What are the reasons to get iflix? 1. Watch a monh's woth of movies and TV shows on your phone for only PHp99. Applicable only to SMART/PLDT subscribers. 2. Access your iflix account up to 5 gadgets. Anytime, Anywhere! 3. Enjoy two (2) simultaneous streams on different devices. SO COOL! 4. Safe and Kids Friendly. Have that security that your kids are ensured with dedicated kid-friendly areas or channels. 5. So easy to share your iflix experience via social media! 6. You can choose what movie do you want to see or TV shows you want to watch with designated content categories, suggestions and recommendations. 8. Just browse by genre, niche or from related views. To know more on how to subscribe to iflix with your PLDT HOME or Smart account, log on to www.pldthome.com or www.smart.com.ph.